The flat-topped umbels of this hedgerow plant are seen throughout the UK from June to September. 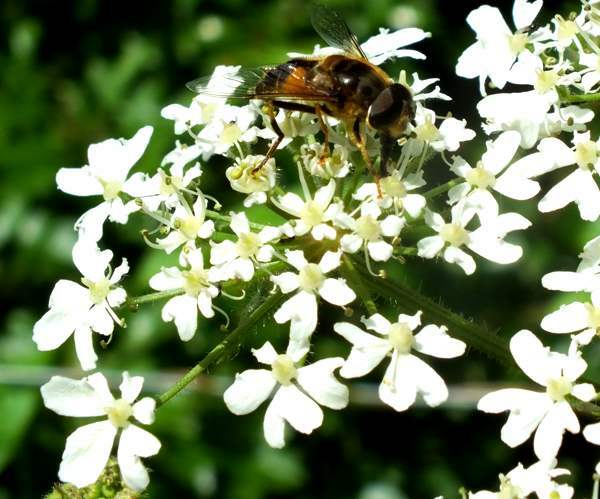 Hogweed is a bristly plant that attracts soldier beetles and many other insects during sunny weather. The compound flower heads are very attractive when studied closely. The leaves are broad and coarsely divided, and are sometimes used as a vegetable. 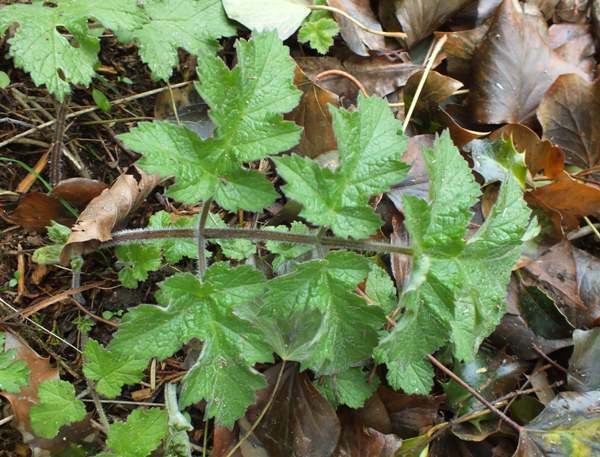 A native biennial, hogweed can grow to a height of two metres in favourable conditions. 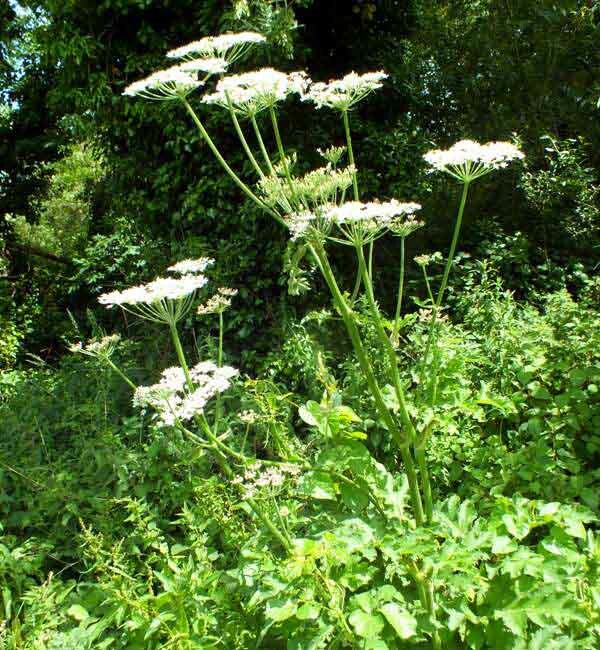 A related alien plant, Giant Hogweed, is very similar in form but much larger, growing to five metres. 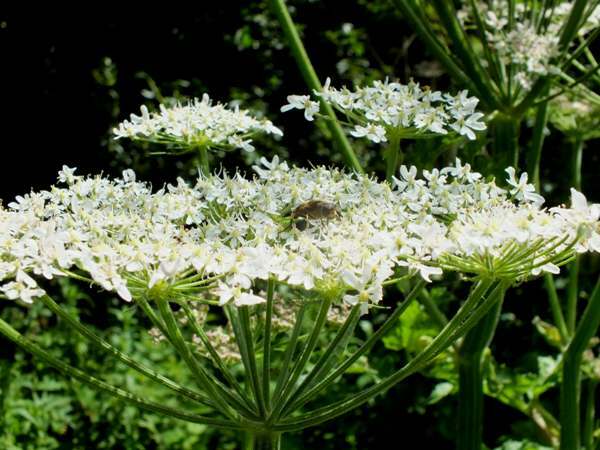 This poisonous plant is now causing concern because it is invading river banks in Scotland, England and the east of Wales.